By using our websites, you are agreeing these terms and conditions and to abide by them. From time to time we may change these Terms and Conditions, and will post revisions on this website. Any such changes will replace all previous terms and conditions with immediate effect.We recommend that you read these Terms and Conditions prior to using our websites and thereafter regularly review any changes and you are responsible for doing so. BusySPr is a learning support environment that enables learners and teachers to interact unrestricted 24-7-365. 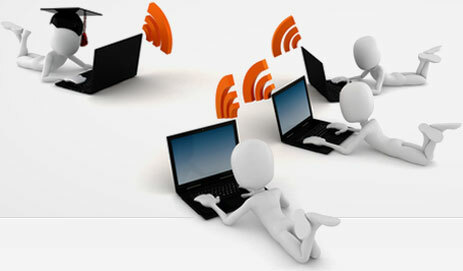 We will strive to ensure that the availability of the website is uninterrupted. However, we cannot guarantee that the website will not be unavailable from time to time. You are responsible for keeping your account details secure. You are responsible for all activities and transactions undertaken using your account. We allow posting of material by users. The information posted and the views expressed are the responsibility of the authors. Any material you upload to any user forum will be considered non-confidential and public.We expressly disclaim any liability or responsibility for any content which is posted by third parties. We reserve the right to delete any information which we consider to be defamatory, illegal, obscene or objectionable. The layout, design, databases and graphics on this website are protected by UK and other international intellectual property laws and are owned by BusySPr Ltd. The contents of individual courses are the intellectual property of the Course Experts. Unless expressly permitted in writing, no part of the website may be reproduced, stored in any medium, including but not limited to a retrieval system or transmitted, in any form or by any means including but not limited to electronic, digital, paper, mechanical, via photocopying, recording or broadcasting. We allow posting of material by users on the message board. The information posted and the views expressed are the responsibility of the authors and do not necessarily reflect our views. We expressly disclaim any liability or responsibility for any content which is posted by third parties. We reserve the right to delete any information which we consider to be defamatory, illegal, obscene or objectionable. If within 24 hours of activation of your password you wish to un-subscribe to our service, please e-mail us at:admin@busyspr.com. You should refrain from using the site thereafter and a full refund would be made. Continuous use of the site completely invalidates your claim for a refund which would therefore not be made. If you cancl after 24h, a refund would not be made. Our websites contain links to other websites. Inclusion of any link does not imply endorsement of the website or its content. The material on this website is intended for use as an exam revision, educational and personal development resource. It is not a substitute for individual judgement as a professional or student. We do not make any guarantees that use of our website will result in success in any examination or other test of any nature. The material and information displayed on our website is provided without any guarantees, conditions or warranties as to accuracy.